"Professional's Choice new magnetic poll piece has helped my four star mount, Parker, hugely in calming his nerves and helping relax him as he started head shaking last year. I ride in the poll piece every day and have noticed a huge difference in Parker's disposition and comfort level. 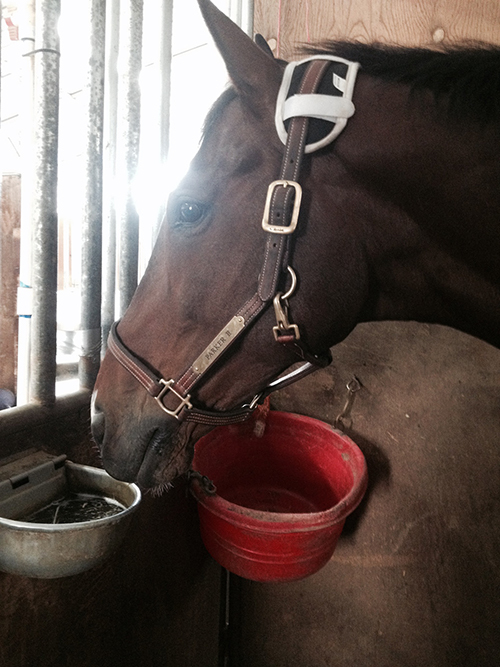 I highly recommend it for any horses that are tense and difficult in the contact." "My daughter was at the NBHA State Finals this past weekend and competed her horse in Professional’s Choice SMB Combo Boots. In her youth run her horse took a hard left and put on more speed and then ducked his bit instead of turning to the right around the first barrel. The entire crowd gasped in unison when her horse headed for the two tractors on the right side of the arena. Seconds later they ran around one tractor and drag and were not able to clear the second tractor and drag. The onsite vet that was watching as this happened met my daughter at the door to the arena to look over the horse’s leg and what we all thought would be a horrific injury. 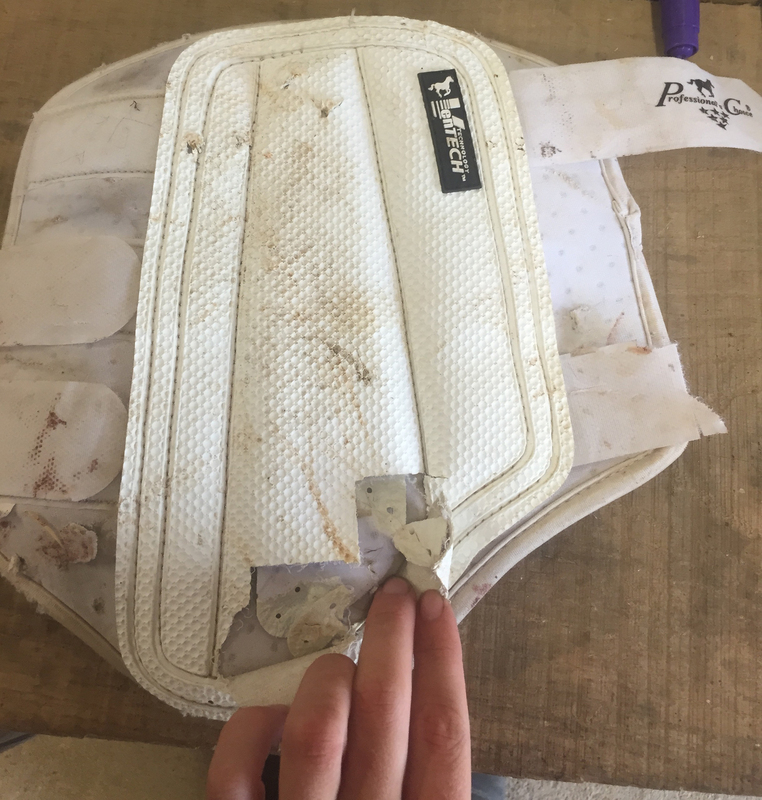 The drag tore the front of the boot up but barely made it through the inside of the boot to the horse’s leg. Our horse ended up with a couple superficial cuts above where the area that the SMBs protected and just a barely noticeable cut where the tractor drag torn through the boot. 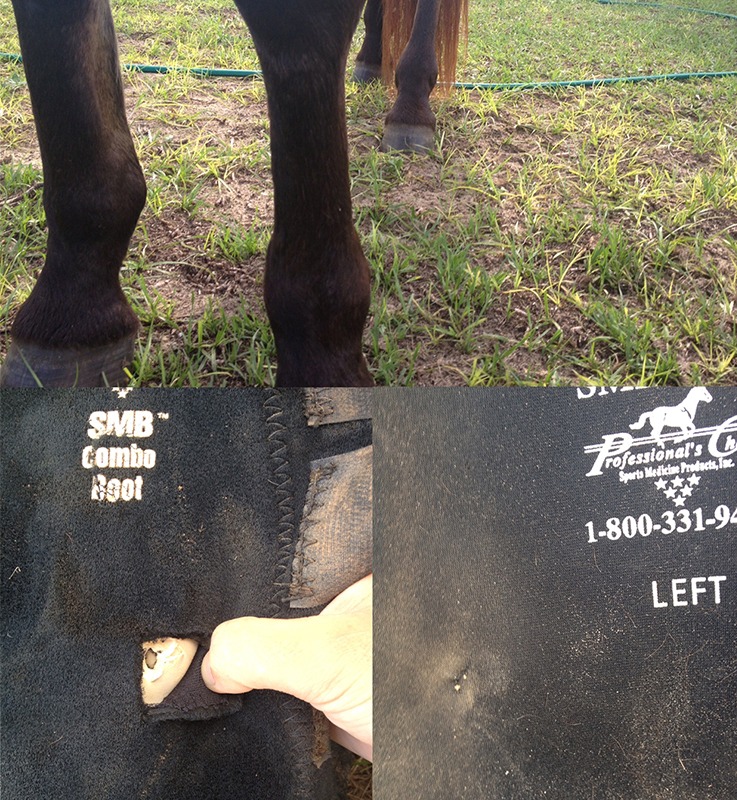 The vet said had our horse not been protected by the SMB Combo Boots he would have likely been crippled or worse. Even still, the vet expected his leg to be sore from the impact in a day or so, but he never ended up showing signs of soreness. The boots completely spared his leg. We actually had people come ask us what type of boots we had used as the story got around. Two young girls who only had bell boots on their horses immediately went to see if these boots could be found at the show. I can't tell you how thankful we are that the Professional’s Choice SMB Combo boots are made with such quality. This horse is so special to us and we love him. He will never compete without these boots on." "The barbed wire did quite a number on the boots but saved my horse's legs from so many more cuts, especially around his tendons! He was cut up everywhere my boots were not covering."